Located just a one minute walk to the centre of the busy market town of Alton, this privately run hotel offers a friendly, comfortable and economic welcome to the tourist and the business person. 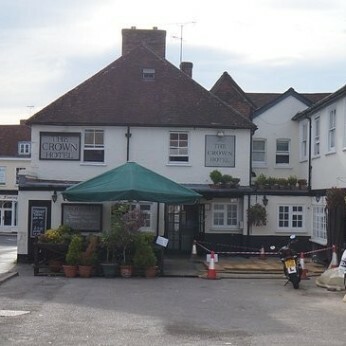 The Crown has operated as an Hotel and Public House for over 450 years. The current management took over in 1997 and immediately set about refurbishing each of the 14 rooms to a modern standard. Each room having en suite facilities along with TV and Tea/Coffee making capabilities. Redecorated on a regular basis the rooms present a fresh comfortable and economic environment for our guests.